The sea wall and slipway are constructed from the stone sleepers of the original Stockton to Darlington railway (the worlds first steam hauled public railway) the footing can be seen in the stones. Henry Pease who built the resort of Saltburn was the son of Edward Pease the railway pioneer. Drifts were cut near Post Gate Hill around 1870, traces of these remain although now appear to be used as a modern water source. The only sizeable remains on the site are those of a bridge under which an incline from the mine site seems to have run. The tramway from this location entered a tunnel around NZ 774054 then travelled below Glaisdale village and emerged onto a trestle bridge near the ironworks around NZ 777055. The Glaisdale Ironstone mine operated between 1862 and 1876, supplying the nearby ironworks. The powder house has only recently lost its roof. The structure was close to the 252ft shaft, in a depression nearby iron stained water is being forced up out of a pipe. There are a couple of stories about the bridge, so just choose the one you prefer. The Cliff Lift itself is hardly “hidden” being one of the well known and unique features of Saltburn, opened in 1884 this is the oldest remaining water-balance cliff lift in Britain. The ‘Organism’ sculpture has been made by Middlesbrough artist Andrew McKeowan. There are two more sets of boots and gates where Old Station Road crosses the Teesdale Way. 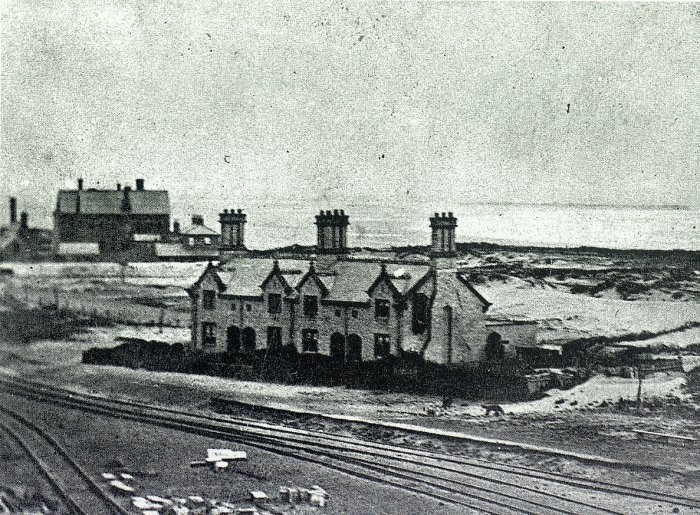 Despite having no railway, Kirkleatham does have a row of railway cottages from 1847, they were dismantled and moved from Redcar in 1861 when the railway line was extended to Saltburn. Designed by John Middleton, these are the last remaining buildings of the Middlesbrough & Redcar Railway. Spigot Mortars had a range of 100 meters with 20lb anti-tank and 450 meters with 11lb anti-personnel mortars.